Richard started his career with Refuge Assurance in Southampton in 1980, as a company representative. He quickly learned the importance of building relationships to gain trust and confidence. Reliability and doing what you say you are going to do is the basis of how Richard operates. Promoted in 1987, Richard became the manager of the Refuge Assurance, Channel Islands office based in Jersey, where he had 7 very successful years. 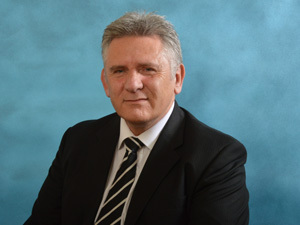 He moved back to Somerset in 1994 and managed the Taunton, Yeovil and Southampton offices. Richard went on to work with Bristol and West, Britannia and Axa before joining Invest Southwest in November 2012. I have known Richard for a number of years. His pleasant and professional attitude makes doing business with him a pleasure. Dealing on a one to one and face to face level is what I like, not someone on a telephone or connection through a computer. I look forward to a pleasant and prosperous future with Invest Southwest - Mr P, Chard.